I can't believe its already September and my kids are back to school. The weather is getting cooler and leaves are changing. Summer came and went like lightening and here in New England I am going to miss it. 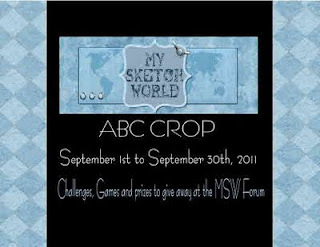 We started today the ABC Crop at the FORUM. 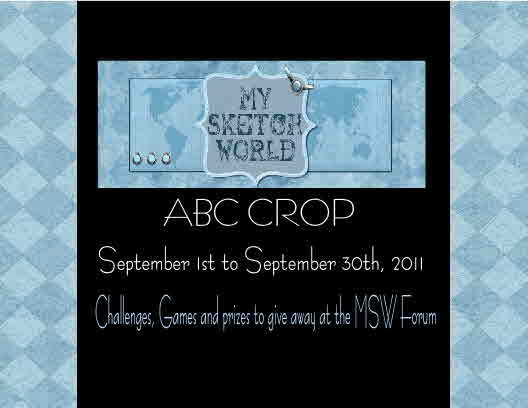 We will be posting challenges each day and giving away prizes. 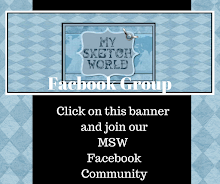 Come and check it out!!!! 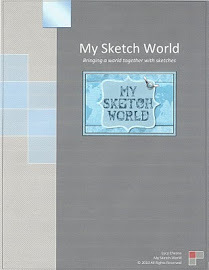 Starting this month I will be posting layout sketch on the 1st only and on the 15th a card sketch. Life is alittle crazy for me here with two jobs, afterschool activites with the kids, my commitments in scrapbooking and family that I dont have time like I use too. Love the sketch and what the DT did with it! Great sketch. I used it right away to finish a double page layout. Great sketch. Mine is posted at my place. Have a great day!